12/10/2018 Sunny Kim finishes strong to win for the 60th time! 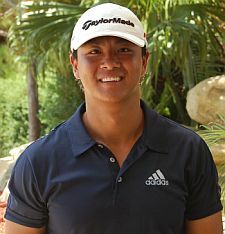 7/18/2018 Sunny Kim fires 68 at The Seagate Country Club to earn his 3rd win in a row!!! Average pace of play for the 2 days was under 4 hours! Read more below. 9/10/2012 3 Consecutive Wins For Sunny Kim! This was the first on the contests to be total score (Like Q-School Finals) Contest 5 starts when we return from Summer Break July 9th! 68 7/18/2018 Seagate CC Summer Classic 1 $668.58*Three wins in a row!